Offering 2 months free and No Fee for all leases commencing immediately and half a month security deposit for qualified applicants! The light, airy kitchens combine a simple linear layout with sophisticated utilitarian glamor. 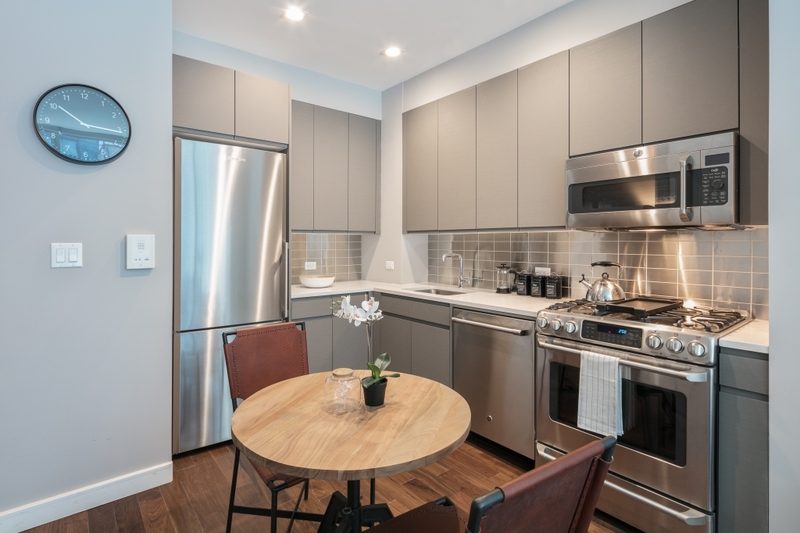 High-specification appliances, Kohler faucets, soft-close greymatte cabinetry and sparkling stainless steel backsplashes complement the industrial-chic ambiance. Smooth tiled floors and glossy porcelain walls adorn the sumptuous bathrooms. A natural palette of grey, white and stone enhances the serene atmosphere while ergonomic chrome fittings bedeck the Kohler bathtub.